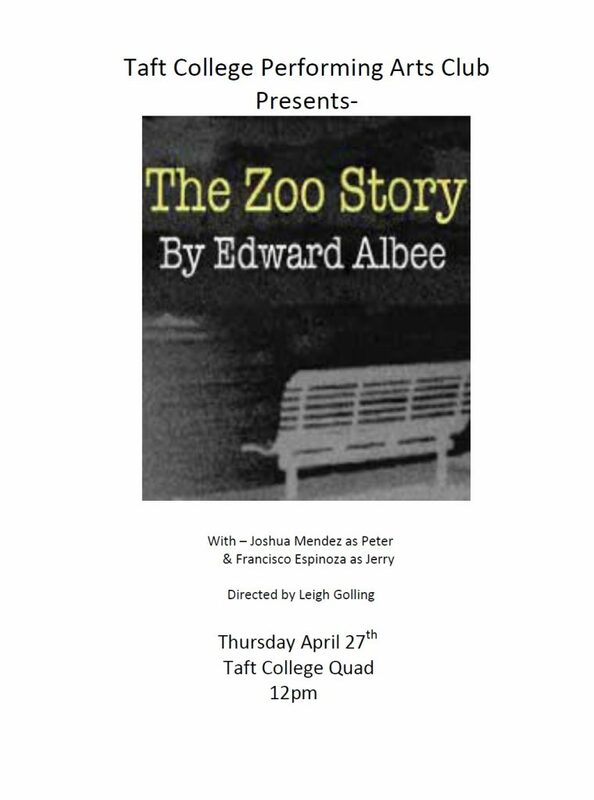 Cougar Echo - Online Newsletter | Taft College Cougar Echo - Online Newspaper. 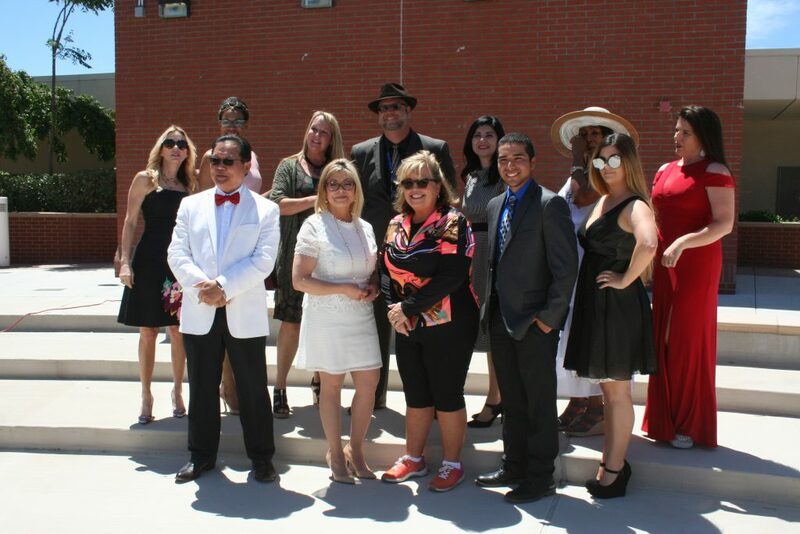 Taft College’s faculty wore stylish garments and participated in a fashion show. 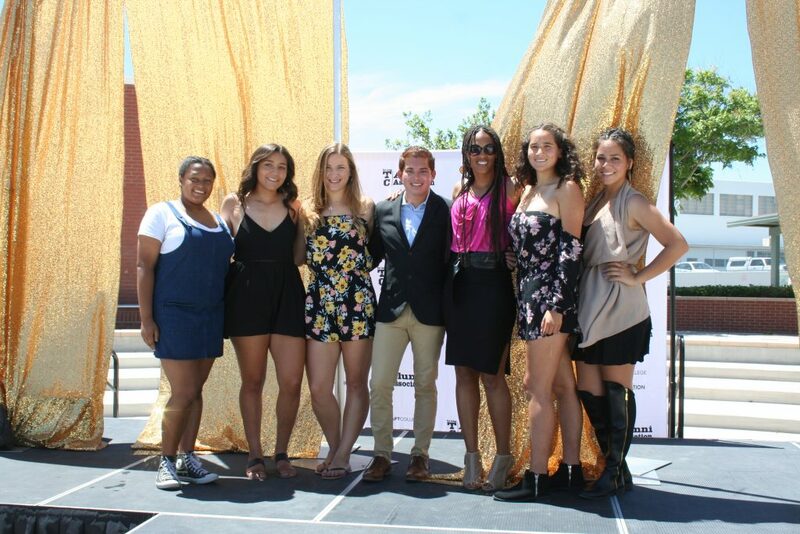 Taft College’s ASB made the decision to erect a runway in the quad and gathered Taft College faculty members to participate in a fashion show. 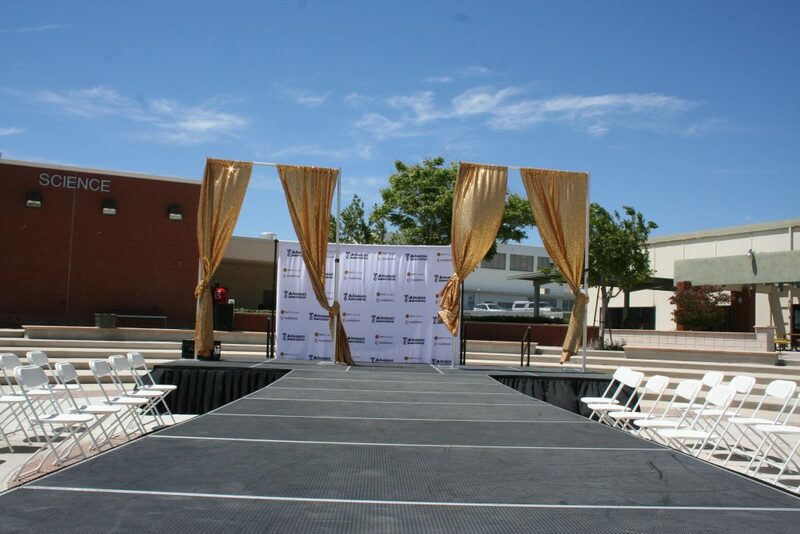 The fashion show was designed to alleviate the pressures of oncoming finals that students will endure but it also gave students the opportunity to admire the summer attire of faculty members. 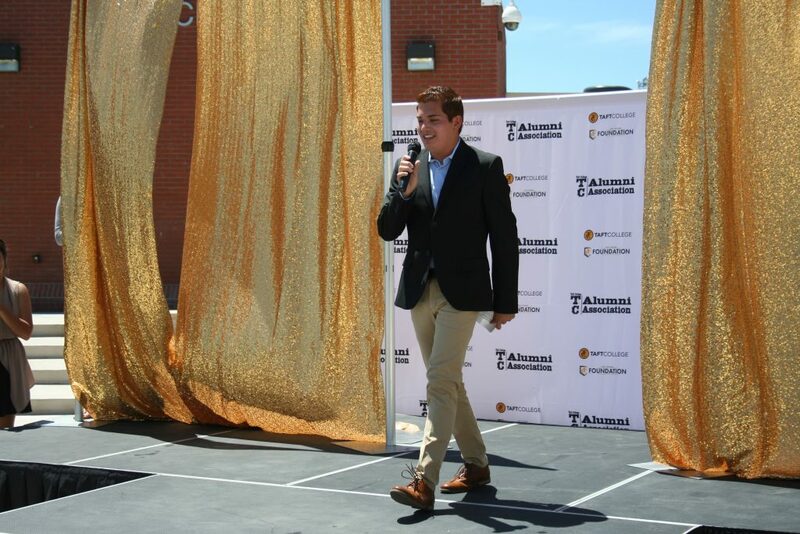 The fashion show began when Taft College ASB President Luis Fernandez welcomed everyone to the extravagant event. 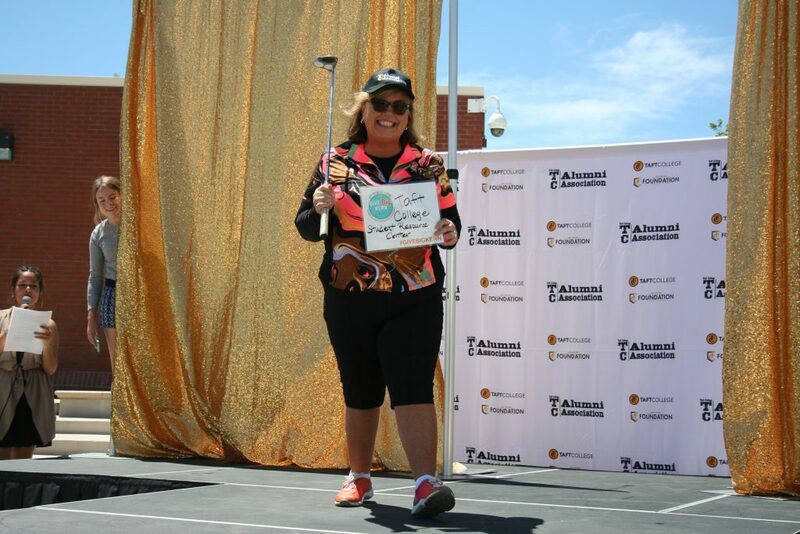 Despite the warm sun beating down on spectators and participants, the event was in full swing as the music began to play and the volunteer models prepared themselves to walk the runway. The first faculty member to walk the stage was Sheri Horn-Bunk who wore an outfit that reflected on her love for Golf. 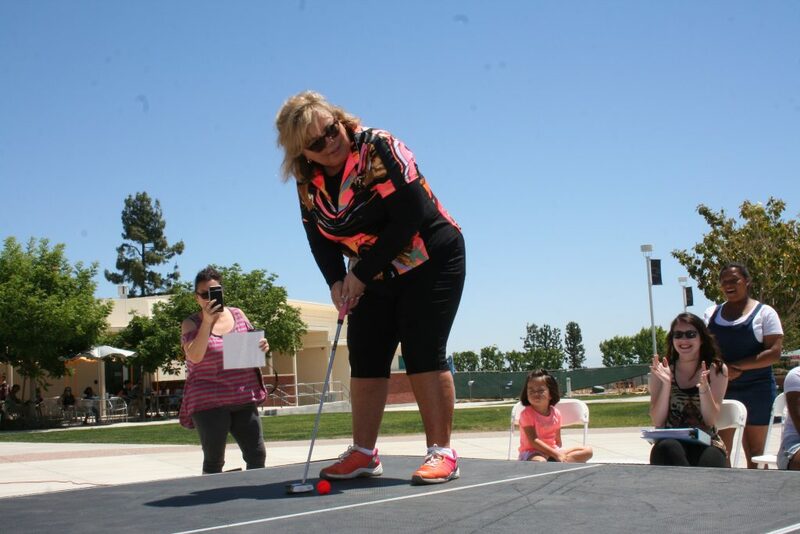 Not only did she look comfortable in her attire, but she was also ready to tee off when she took out her golf club and placed the golf ball on the runway. She aligned herself and took the shot, as the golf ball moved, Sheri followed and she waved at everyone. 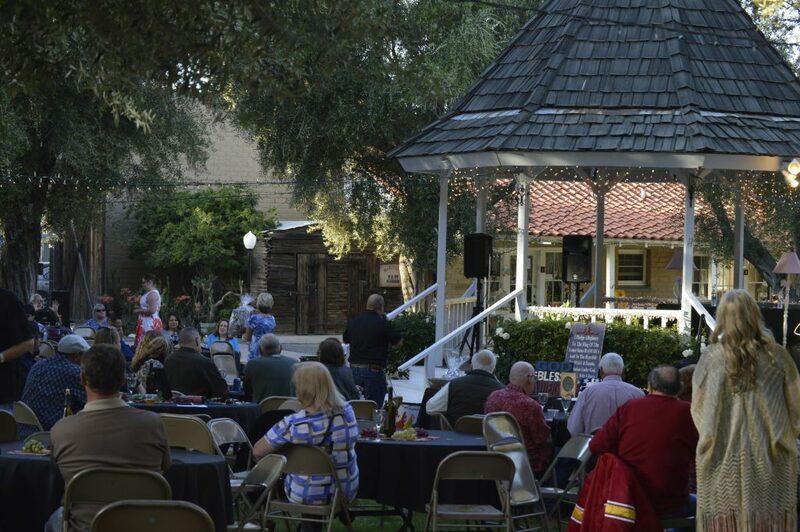 It was an evening of fine wine and jazz at The Historic Fort in Taft. 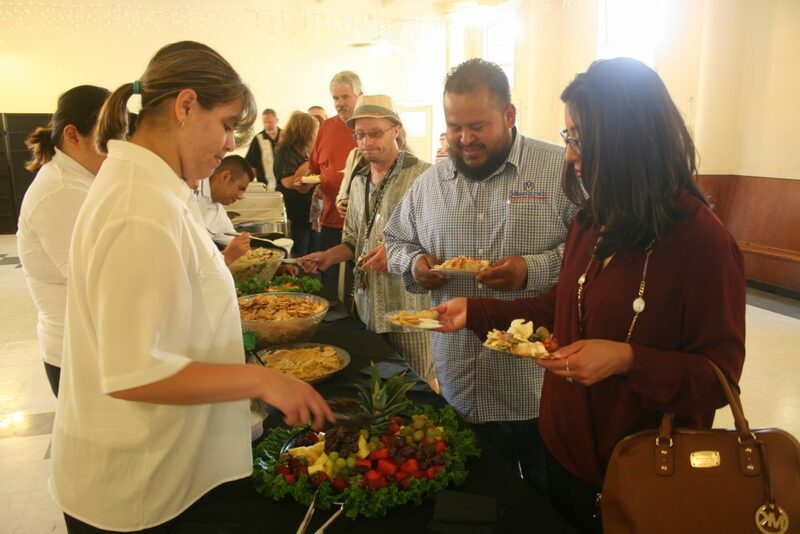 on April 27 Students of Taft College’s Transition to Independent Living program worked with The Historic Fort to host the annual wine tasting. The event was held at The Fort as part of a charity event. People that attended the event were able to head indoors and silently bid on items, or take their chances with the outdoors auction. The proceeds from both auctions will be divided between TIL students and The Fort. Live entertainment was provided by the Taft Union High School jazz band. 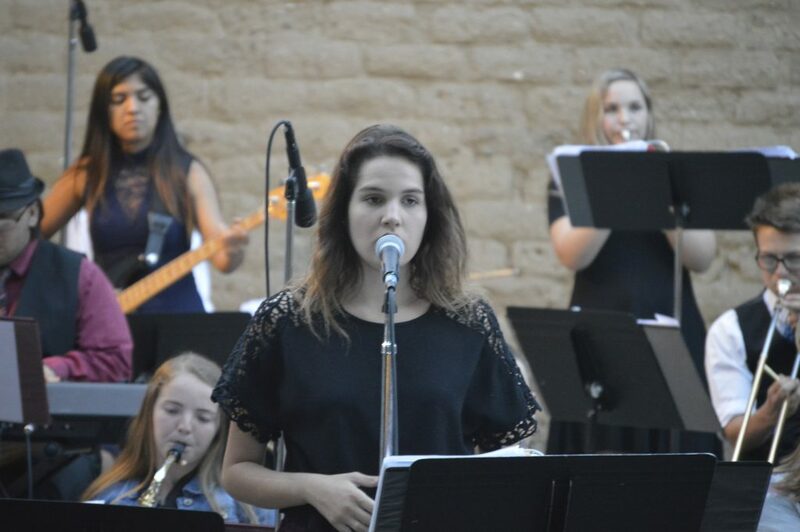 Taft High teacher Amanda Posey brought her third period jazz band to perform for the wine tasting attendees. The soothing jazz tunes from the high school band created a vibrant environment for people to have discussions and share a couple of laughs. 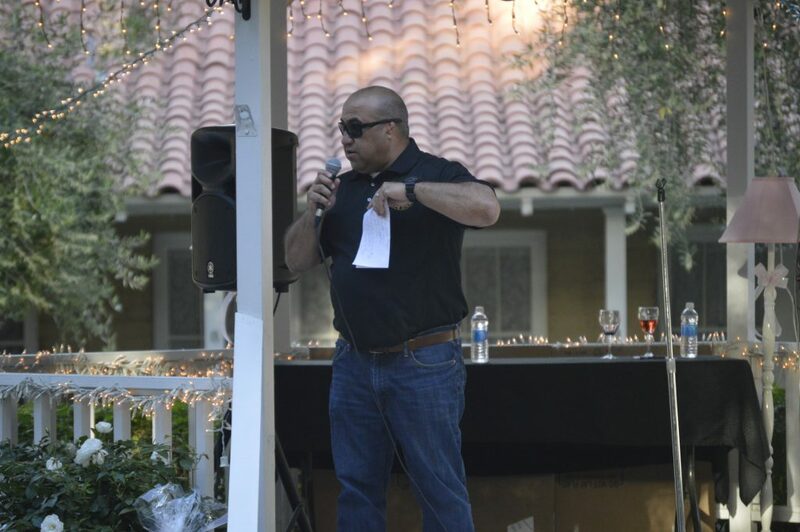 The event began with Joe’ll Chaidez, Taft College testing director/assessment specialist, welcoming everyone to the wine tasting and also thanking the sponsors for their contributions. Mr Chaidez said he was astounded to learn that he would be hosting the auction for a third time. 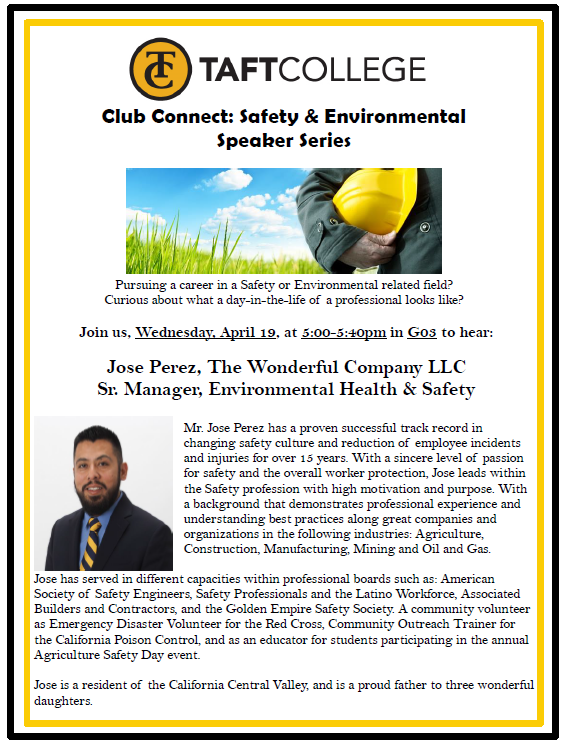 As Mr Chaidez concluded his welcoming message he also gave important tips to attendees, “spend up, eat up, drink up,” which was met with applause. Taft College chef Geoff Dunham prepared the food and the TIL students assisted chef Geoff by serving the patrons. It was later announced by Mr Chaidez that the food was ready and the lines began forming. Local Mexican restaurant Flaco’s Tacos were also present and representatives walked around offering patrons the choice of their deserts between strawberry and chocolate churros. 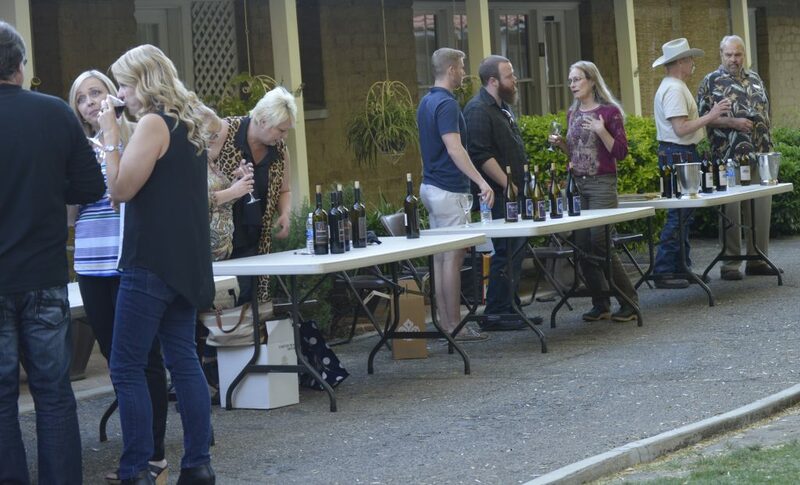 Overall, the wine tasting event was classy, graceful and possessed an elegant environment. 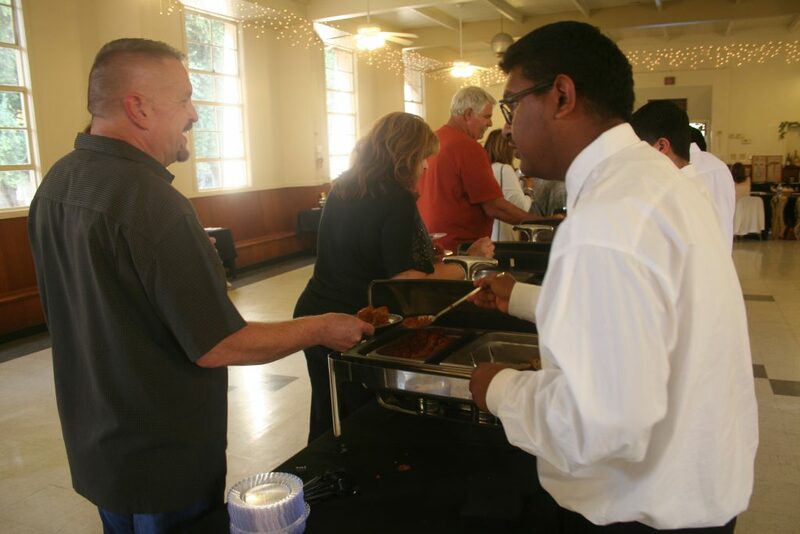 The attendees were courteous towards each other and expressed their joy for the Taft Union High School jazz band. The auction had a beneficial cause towards the TIL students and the upkeep of The Fort. Spoiled Rotten is a clothing boutique located on Rosedale Highway in Bakersfield. I have been shopping at Spoiled Rotten for a couple of years now, and there is a reason I keep going back. The clothing there is so cute and the prices are mid -range. My obsession started when I bought a baby doll olive green dress. Although I love their clothes, if you visit this boutique make sure to check out the accessories and shoes as well. My favorite knee high black boots and my wallet are from Spoiled Rotten. One of the best things about shopping at a boutique is that they are always getting new items in, so the items you buy are rarely duplicated and more unique than buying from a franchise store. In addition, shopping at Spoiled Rotten is an awesome way to support local businesses. The most recent purchase I made from this boutique was the cutest two-piece set that was white with pink and blue floral designs. The shirt is a lace up top and the bottoms match perfectly with little ruffles at the bottom. 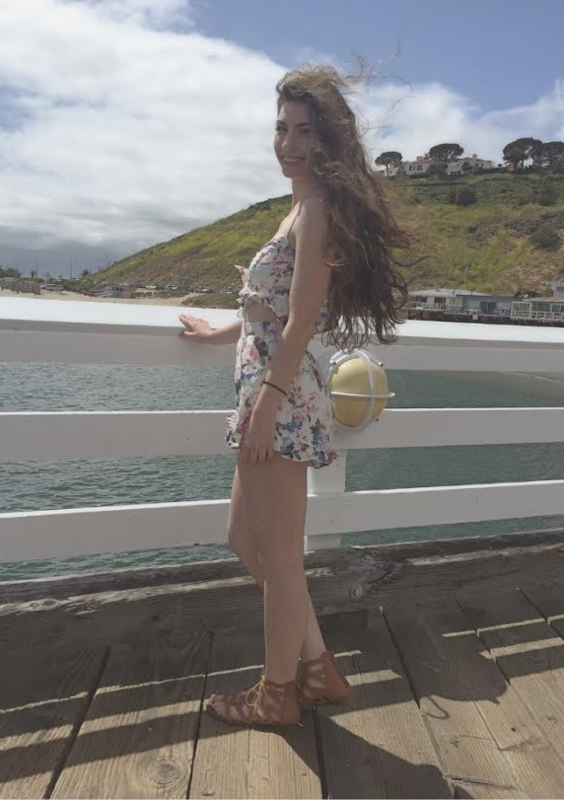 This style is perfect for the beach or a summer day, it is also comfortable. The only complaint I have about shopping at this boutique is the sizing of the clothing. I have not found anything in an extra small, which is so frustrating because I will find something I really like, but it won’t fit. If you end up finding something you like, things sell out quickly so do not hesitate to buy it. Overall though, I would strongly recommend shopping at Spoiled Rotten Boutique, 1001 Rosedale Highway. They also throw children’s parties, so if any of this interests you give them a call at 829- 2905 or follow their instagram @shopspoiled immediately to check them out. 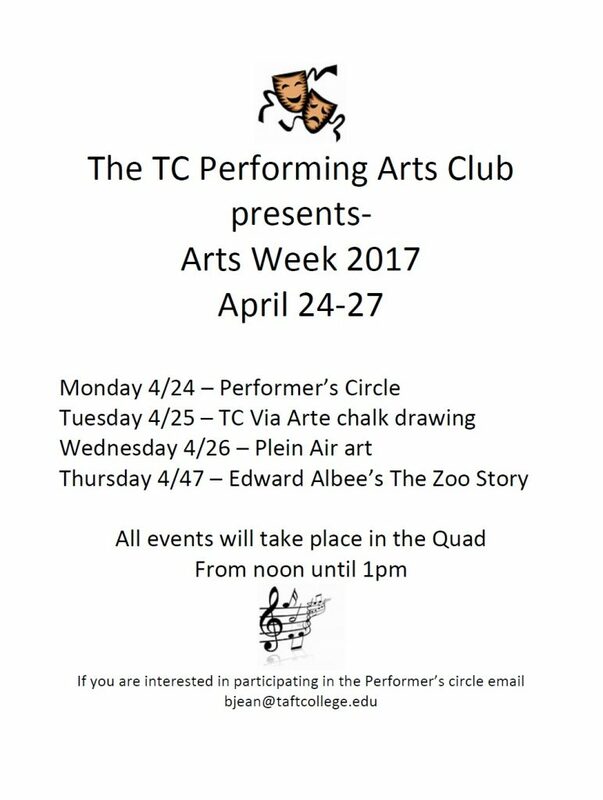 Taft’s College first annual Performing Circle has came to an end with the last performance of the semester. 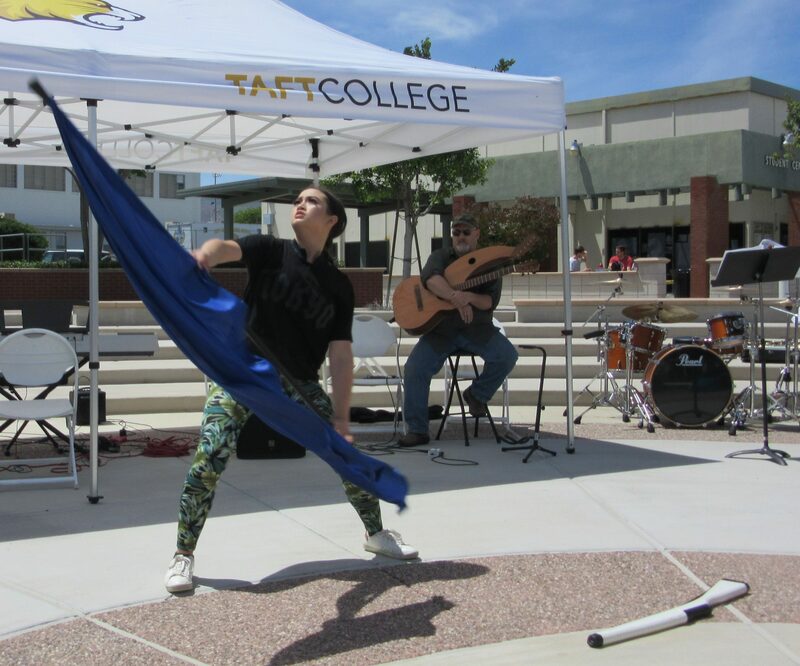 The performance was held on April 24 in the quad and included both students and staff at Taft College. The first to perform was Joey Smith; he performed an incredible acoustic song with his guitar. The second to perform was geology instructor, Thomas Ware. He played an outstanding song with his guitar. Next was an amazing dance performed by Vicky Waugh. She performed a tap dance that had the crowd amazed. The fourth to perform was sophomore student Vanessa; she also performed tap. Next up was student Alexander Victoria, he read his poetry that had the audience in awe. The sixth performance was a color-guard coach at Lincoln High School, Asia Fee. She gave an incredible performance using a rifle and a flag that impressed the crowd. 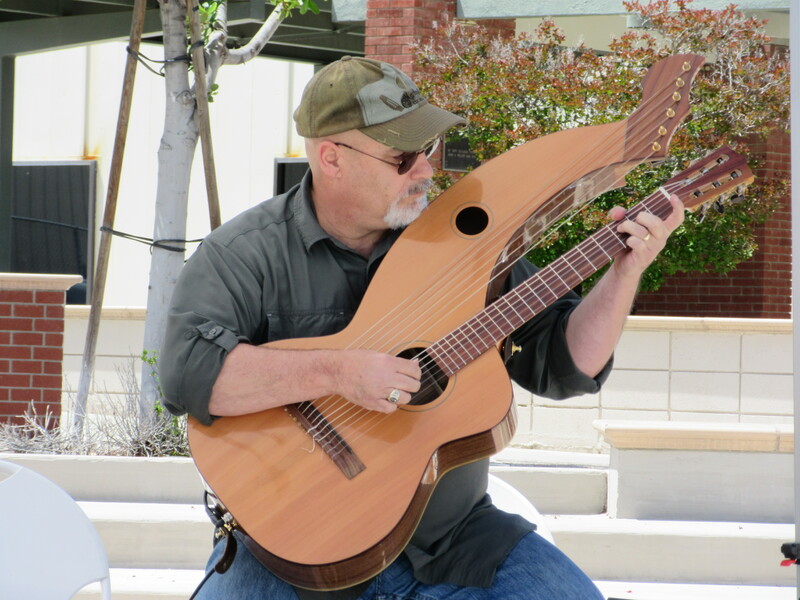 Next to perform , was host of Performing Circle and professor at Taft, Brian Jean.He played his very own guitar harpa. Taft’s High School students performed a jazz number. Alexander Victoria reading his poetry for the audience. Joey Smith playing his guitar. On Friday, April, 7, Taft College science students had the opportunity to visit the Natural History Museum of Los Angeles County. Both students and professors were on the bus by 8 a.m., ready for the field trip. The trip included students from Professor Mays’ earth science class, Professor Golling’s biology class, and others. 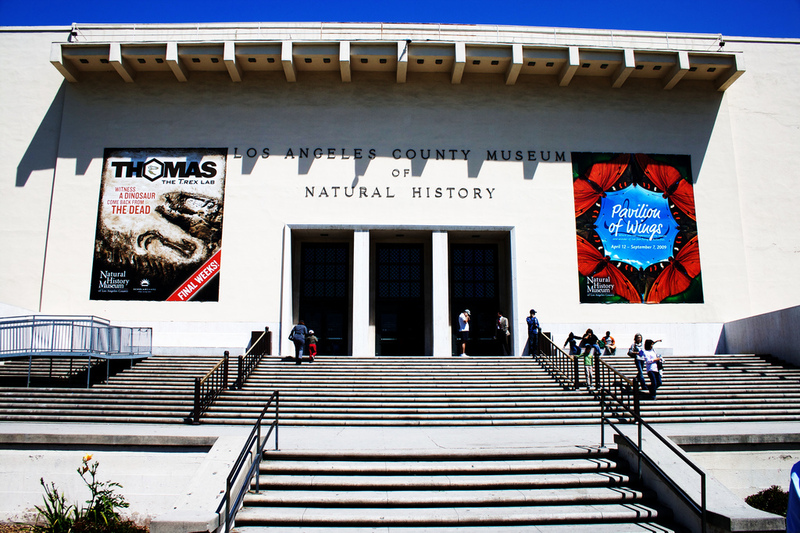 The Museum, located in Los Angeles just off of the Harbor Freeway and next to the University Southern California campus, is the largest natural and historical museum in the western United States. It protects over 35 million specimens, dating back 4.5 billion years. The Museum is a resource for Southern California teachers. The Museum operators are an authority on the “big picture” of the planet, the natural and the cultural world and the Museum also tracks the Earth’s biodiversity. Arriving at around 10:30, the professors handed out worksheets with questions to answer about the exhibits. For the earth science students each worksheet had nine questions on them. For the next four hours, the exhibits that were visited were the African Mammal Hall, North American Mammal Hall, Gen and Mineral Hall, Hixon Gem Vault, Age of Mammals Exhibit and Dinosaur Hall. In the African Mammal Hall you are facing animals that were first discovered in the early 20th century. The mammals you come across that are most popular when visiting this hall are the Arabian Oryx, savanna elephant, spotted hyena, okapi, hippopotamus, and a Guereza. Have you encountered a polar bear before? In the North American Mammal Hall you got to see mammals that were found over 75 years ago. The five most popular mammals included in this hall were a bison, moose, jaguar, polar bear, and a pronghorn antelope. The Gem and Mineral Hall displays more than 2,000 spectacular specimens within two large galleries that comprise what is considered to be one of the finest exhibits of gems, metals and minerals in the world. From gold to silver the hall allows you to not only feel these items but learn about them as well. Inside of the Hixon Gem Vault is where you come across the diamonds, sapphires, and rubies. Did you know Benitoite is the beautiful blue state gemstone of California? 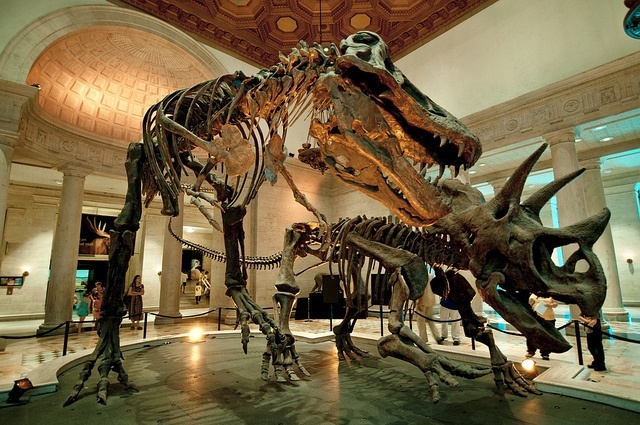 Age of Mammals exhibit tells an evolutionary story that spans 65 million years. The two-story gallery gives out information about mammals. From the physical traits of a mammal, to the classification, and the humans encountering with mammals. The final exhibit that was visited was the Dinosaur Hall. Here you will get up close and personal with a T-rex, triceratops, and a stegosaurus, plus many more. The 14,000-square-foot dinosaur hall will rival the world’s leading dinosaur halls for the number of individual fossils displayed, the size and spectacular character of the major mounts. You can visit the Museum anytime from 9:30 a.m. to 4:30 p.m. General admission is $27 with a parking fee of $12. There are many options for colleges to transfer to; yet, which one is the right choice? Many people take tours to see if the campus is suited to their major. Cal Poly, San Luis Obispo, is one of the options to transfer too. On the tour of Cal Poly, the people who guide them are students who attend the college. The tour takes you through the library, the dorms, classrooms and different departments of education. The campus itself is one of the largest in California, covering about 9,678 acres of land. The tour guides explain how the school is on the quarter system, while some California State Universities are on the semester system. They also guide you to the gym, cafeteria, and recreational centers. The campus and the city have many activities to do daily. Additionally, the campus hosts WOW (Week of Welcome) orientation the week before classes start. It welcomes new students to the campus and hosts an entire week of activities for these students. Overall, the campus is a great start to independence for all types of students. 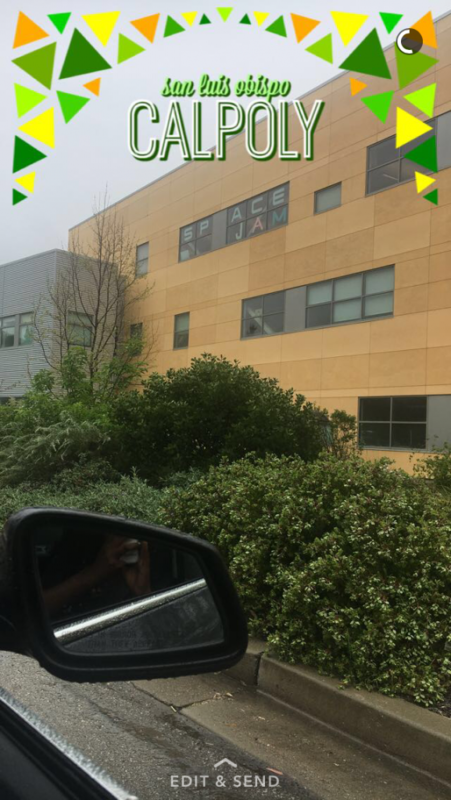 The school is serious about the education of their students.